We’ve compiled a list of our most frequently asked questions. Everything is covered in snow. Can you still inspect the house? How much of a discount do you offer when things are snow covered? What do you inspect at the house? Do you offer sewer inspections? Chimney inspections? Septic Inspections? Can you inspect a home in Wisconsin? I’m getting an FHA loan. Can you do the FHA inspection? The furnace is really old. Should I hire a furnace guy to look at it? Can I schedule the home inspection via email? Why don’t you provide your inspection reports on-site? Do Reuben and Neil still do home inspections? Yes, we can still inspect the house, but there will obviously be a few limitations, the largest being the roof covering. When roof coverings are buried in snow, they can’t be inspected. It’s a lot more work for us to inspect houses when there’s a lot of snow on the ground, but it’s OK. We don’t charge any more for the inspection when we have to trudge through the snow. We don’t offer a discount, but we also don’t charge more, despite the fact that it’s more work. We charge a little more for a home inspection than most of our competition. We conducted a survey of other home inspectors throughout Minnesota, and our price was approximately $80 higher, on average, than other ASHI members in Minnesota. For the results of this survey, click here: Home Inspection Prices in Minnesota. For home inspections, our price is based on the size of the home being inspected, as well as the age. Once you factor in the quality of our inspections and reports, paying a little extra to hire us is a no-brainer. If you read through the public online reviews left by our customers (see Google and Yelp), you’ll see that we’re not just making this up; our customers are always at least satisfied with our service, but most are delighted. Also, see Why do you charge more than your competitors? for our detailed explanation. On average, between two and four hours. We typically spend another one to three hours typing each report off-site. As of April 2018, we’re booking out approximately seven to eight calendar days. For the fastest scheduling, please call our main office number. For a buyer’s inspection, we inspect the major items that most buyers want to know about. For a full list, please visit our Buyers Inspections page. Any halfway reputable home inspection company will cover all of these items; it’s a pretty standard list. What sets us apart is our knowledge, experience, attention to detail, inspection report, and passion for our work. For a Truth-in-Housing evaluation (aka – City Inspection), we follow a strict set of guidelines given to us by the city we’re inspecting in. We’ve put together some excellent lists of the most common repair items for each of the cities that require repairs. You can view these lists on our Truth-In-Housing page. No, but we work closely with someone who does. Yes, yes, and yes. 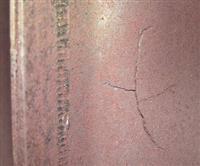 See sewer inspections and chimney inspections. We don’t have a page with info on septic inspections, but we do offer that service as well. There is no such thing as licensing for home inspectors in Minnesota. Several of our inspectors are licensed Truth-in-Housing evaluators in Minneapolis, Saint Paul, and several other cities. Yes! We have one home inspector who is licensed in Wisconsin, Bryce Klym. He is also a Wisconsin resident. We’ll set up the inspection with the listing agent or seller, typically. We’ll get the lockbox combination from them. If it’s an electronic lockbox, no problem; we have electronic keys. FHA loans require FHA appraisals, which are often confused with home inspections. You can read more on this topic here – FHA Inspections. We typically don’t recommend hiring any other inspections right from the start; isn’t that what you’re hiring us to do? If we find a crack in the heat exchanger of a furnace, we’ll tell you to replace it; we won’t tell you to hire someone else to look at it. If we suspect a crack but we can’t prove it, we’ll recommend inspection by an HVAC contractor, but we’ll be specific about our concern, and we’ll write it out in our report. We’ll also include a photo if we can. As you read through our inspection report, you’ll see that we don’t leave you with a silly ‘CYA’ list of a dozen recommendations for ‘further evaluation.’ Again, isn’t that what you’re hiring us to do? There are certainly some situations where we might recommend further inspection of a specific condition, but we don’t make those recommendations lightly. We appreciate the fact that these inspections cost a lot of time and money, so we only make those recommendations when we need to. No. We’ll check for the basic operation of the system, but that’s all. There is far too much that can go wrong with the design and installation of these systems. To anyone buying a home with geothermal heat, we recommend obtaining detailed installation and service records for the system, as well as an inspection by an HVAC company who specializes in geothermal heat. As long as we can safely do it, yes. We carry big extension ladders on our trucks for inspecting two-story roofs. A lot of duplexes in Minneapolis and Saint Paul have roofs that can only be accessed this way. If we can’t reach the roof with a 28′ extension ladder, we’ll arrange for a FREE drone inspection. Yes, we email the inspection agreement to our clients at the time we book the inspection, and we ask our clients to fill out the inspection agreement online ahead of time. Click the following link to view our inspection agreement. Yes, but we might fill the slot that you want in-between exchanges. The best way to schedule an inspection is via telephone. See above. We’d love to have you there for the entire inspection if you have the time. We’ll email a link to the inspection report either later the same day or early the next morning. It takes us a long time to type up our reports. We don’t produce generic check-box reports with three-ring binders; we actually sit down at the computer and take the time to write out our reports in plain English. We also don’t spend our time on-site with our nose buried in tablet or laptop; we spend our time inspecting. We write the report when we get home. We’ll often spend more time writing the report than we do inspecting the house. We provide a lot of detail in our reports, and we try to write them for you the same way we would for a friend or family member. After you read one of our inspection reports, we think you’ll understand why we don’t produce the reports on site. Also, please check out our home inspection report writing style guide, which we made public in the Spring of 2018. Do Neil and Reuben still do home inspections? Heck yes. Neil still does them full time. Reuben spends a fair amount of time managing the business, blogging, and teaching classes, so his appointments are frequently booked out a week or two, but he still does inspections.